I can supply either 250g or 500g of healthy, happy worms to get your worm farm off to a great start. These are the legendary Tiger worms,( or to give them their proper latin name, Eisinia fetida) these are excellent composting worms and are ideally suited for the job of converting your organic waste into lovely vermicompost. The worms will be supplied with some of their 'home' so they transition into their new environment with the minimum of stress and there will also be a good quantity of worm eggs included. When ordering worms, please remember to give instructions where the parcel can be left out of the sun, if no one is likely to be home. I can make a note on the address label which will authorise the courier to leave it. 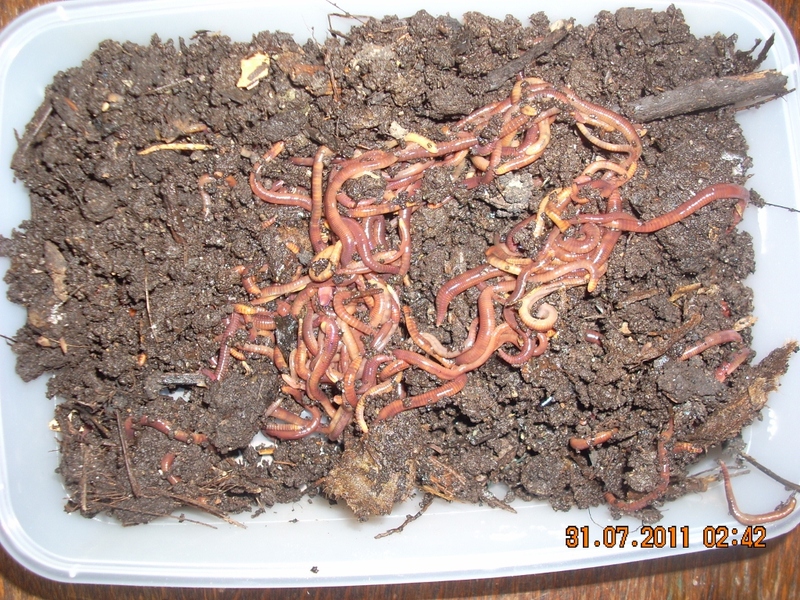 If you’d like to know more about looking after your worms, we suggest you read the information under Worm Farming. I can make up a mix more suitable for the conditions of a composting toilet. The mix will contain a lot of Enchytaeids, which I have found to be an excellent companion to tiger worms. Generally 500g of worms is an ideal amount to start with. You can order the composting toilet mix simply by using the 500g product buttom, but make sure you let me know in the special instructions box that you require this mix. 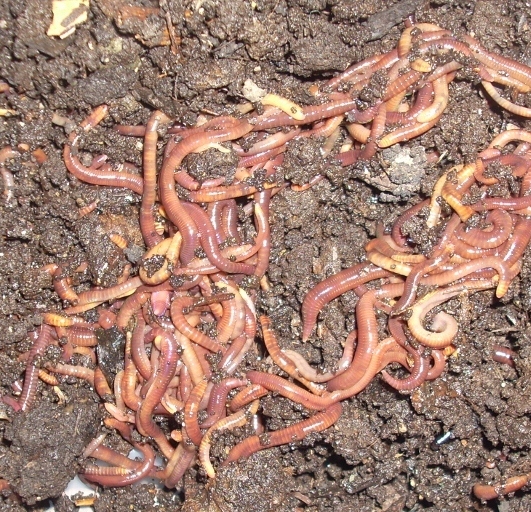 Worms can increase their population very quickly when conditions are right, so don't be tempted to purchase more than you actually need. A stacking worm farm, such as the Can o Worms or Worm Cafe, really only needs 250g as a starter. the worms will breed freely and their number will increase to fit the space and food available. 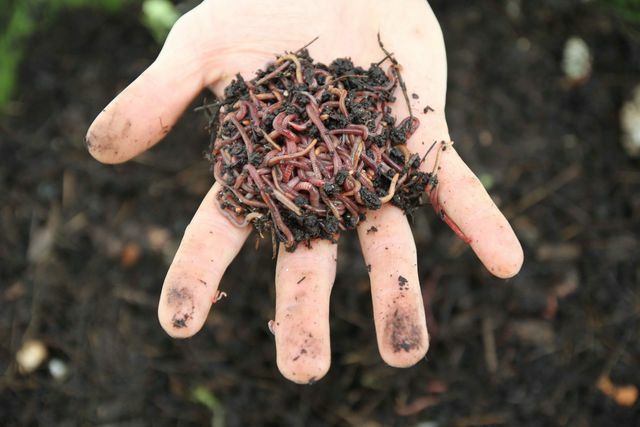 Introducing too many worms to a system may result in the worms being less likely to breed as the population will self regulate and there is a higher possibility they will try to escape. A Hungry Bin or compost bin is better started with 500g. Please note there is a small extra charge for rural addresses. 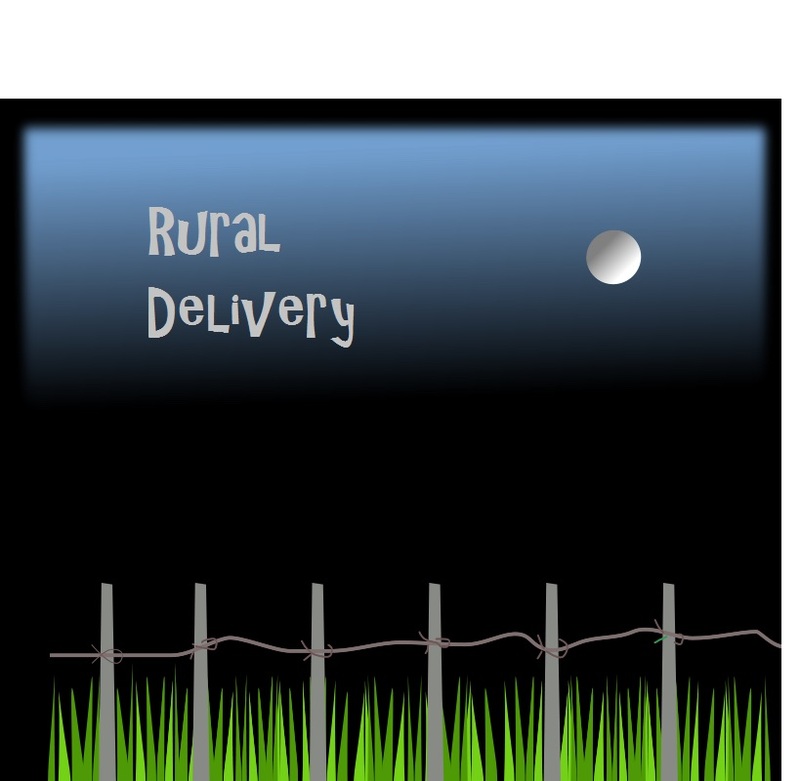 Add the product 'rural delivery' to your shopping cart.